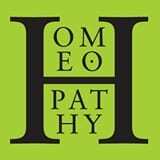 Two long-serving supporters of the cause of homeopathy were awarded Fellowship of the Society at the annual conference in Oxford. They were among a number of awards celebrating the work of individuals and organisations in the field. Philippa Fibert and Linda Wicks received their fellowships in recognition of their contributions to research and education respectively. As part of her PhD at the University of Sheffield, Philippa led a project testing the effectiveness of homeopathy for children with attention deficit hyperactivity disorder (ADHD) which suggested homeopathy may help with young patients’ emotional issues. Linda has been in part-time practice in Cornwall since 1986 and has more than 20 years’ teaching experience in a variety of settings. For 16 years, she was an education advisor for the Society, developing and maintaining the recognition system for homeopathy courses across the UK. Two long-serving supporters of the cause of homeopathy were awarded Fellowship of the Society at the annual conference in Oxford. They were among a number of awards celebrating the work of individuals and organisations in the field.